Red Horn Division of Indian Army organised a medical camp in backward areas of Baksa district of Assam. Red Horn Division of Army organised a medical camp under Op Sadbhavavana in backward areas of Saudarbhita of Baksa district from 16-17 Sep 2018. This Medical camp was organised in response to requests from the locals of Saudarbhita for medical attention, as they find it difficult to get medical cover due to its remote location. Doctors and medical representatives from the Army and Civil administration provided medical treatment to all the patients at Medical camp a part from spreading awareness on health issues. Along with medical checkup and consultation , free medicines were also provided to the patients. Approximately 2400 persons benefited from the medical camp including 416 children. 795 females and 1189 males. This opportunity was also utilised by Army doctors to educate the masses about prevention of communicable and skin diseases along with other lifestyle diseases affecting the masses in the modern era. This camp was also used as an interactive platform where, War Veteran Cell and Grievances Cell were also established for Ex Serviceman of the area. Dental check-ups were also carried out by dentists along with health check-up by certified doctors. 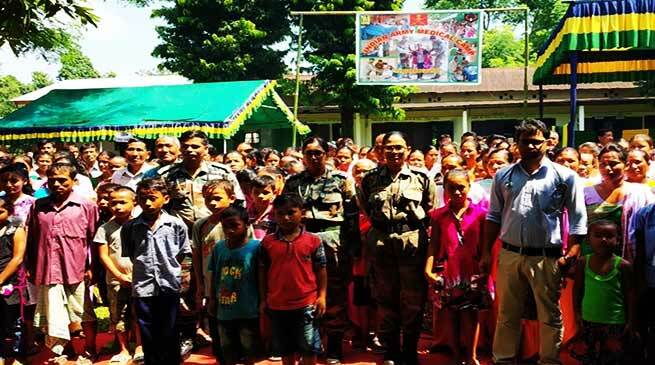 Army has been regularly organising such medical camps in inaccessible areas of Baksa districts, where majority of the population that attend the camp belongs to BPL families. They have limited access to medical facility in the near vicinity, The continuous and relentless efforts of Indian Army towards conduct of such camps have been greatly lauded by the public. It was a notable action to reach out to the poor and needy people which provided succour to the masses.